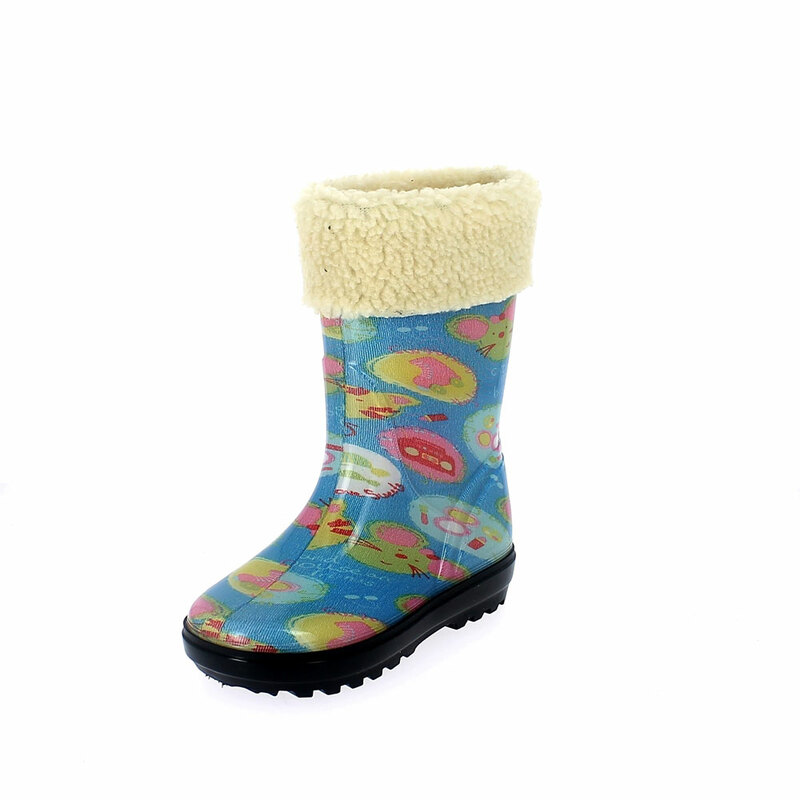 Rainboot for children in transparent pvc with cut and sewn lining "cat&mouse". 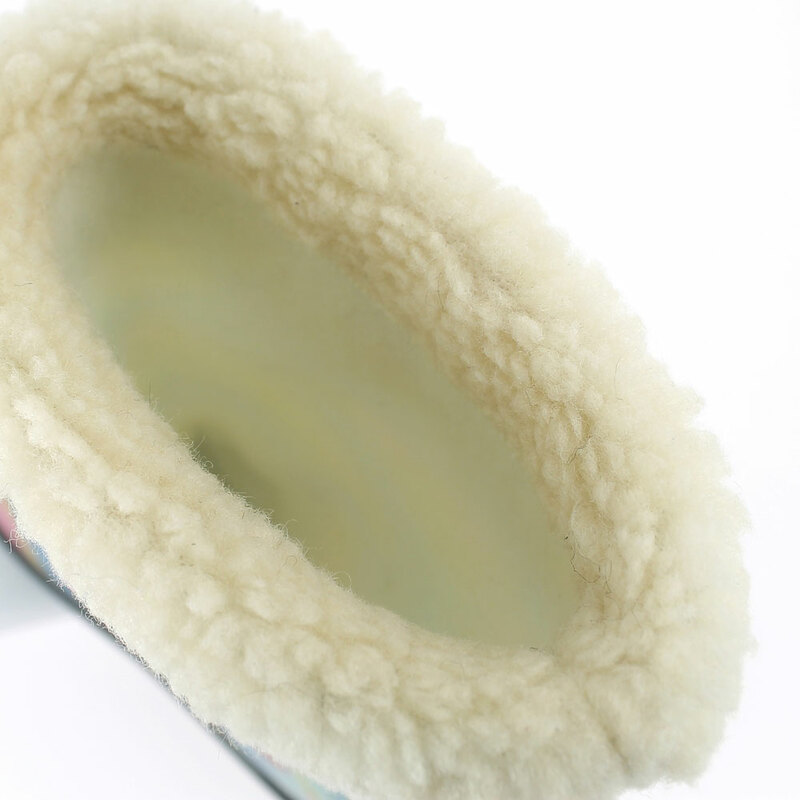 The children rainboot is entirely lined inside by a felt lining coming out of the bootleg with a synthetic lamb wool cuff in ecru colour. Colour azzurro with black outsole. Size run: Double sizes from 21-22 to 35-36.
next: Rainboot for children in transparent pvc with cut and sewn lining; felt inner lining and synthetic wool cuff - pattern "hearts"